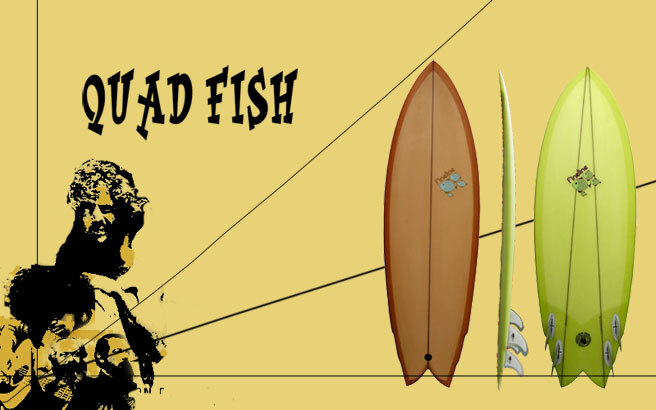 This is a board designed to give fish-like drive and down-the-line speed along with a vertical potential and pocket surfability that fish normally don’t have. Great for both mush and real surf. The shorter versions carry fishlike width wider tails; longer versions slim up for more of a twim fin style template. Fin spacing is fairly critical, but that’s why it comes with Lok Boxes. They usually show up at the shop with LB1/LB4, or AK4 fins, but the longer versions surf great with the Twinzer set, with the large upright fins in front and the baby trailers in back.